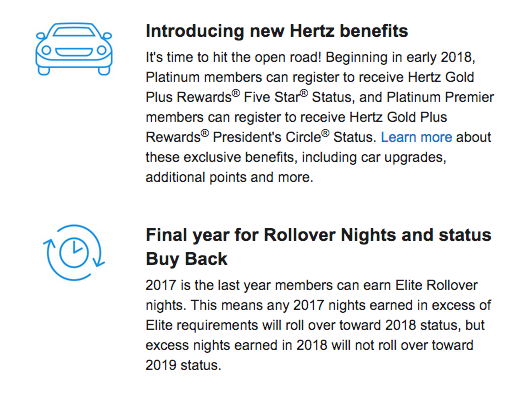 The first is new benefits with Hertz for both Marriott Rewards members and Starwood Preferred Guest members. Prior to this Starwood has not had a relationship with Hertz so we can sort of see this an a step towards integration by equaling out the partnerships that both programs have. 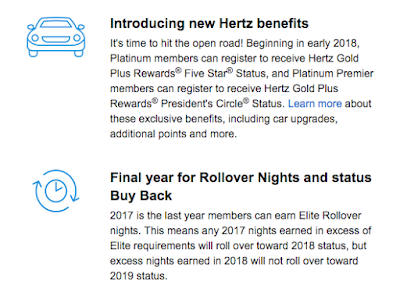 You'll be able to earn Starpoints for Hertz rentals and Elite members from both programs will receive elevated status in the Hertz Gold Plus Rewards program. 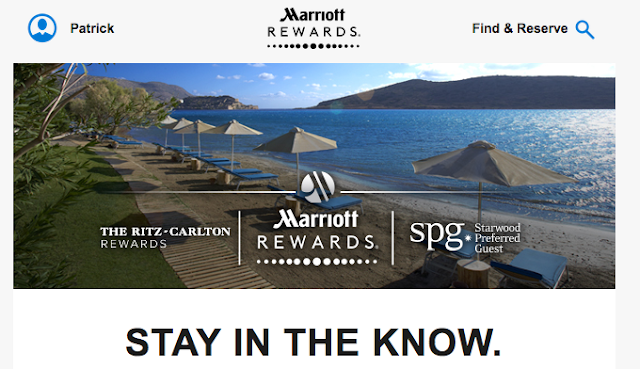 The second change is the end of the rollover nights and status buy back offers from Marriott. Rollover nights allowed members to have their earned from one year that were over and above reaching an elite level rolled over to the next year to make qualification easier. We now know that nights from 2017 will be the last as those will count towards 2018 status but nothing beyond that. Also the status buy back that allowed Marriott Rewards members to use points to buy back status if they didn't meet the requirements to re-qualify. Finally another change not listed in the screen shot from Marriott's email is that lifetime elite members in Starwood Preferred Guest will no longer be subject to the inactivity rule that would expire their points. What do you think about the changes announced today from Marriott and Starwood? You can learn more about how the Marriott Rewards and Starwood Preferred Guest programs work together and how you can link them here.